Thailand is such an amazing location which consists of many beaches and many attractive royal palaces, iconic temples of Buddha, and many such things like this. People of Thailand follow multiple cultures like Indian, Lao, Burmese, Cambodian, and Chinese. Thailand has many different cities famous for its different specialty in which there is a city named Pattaya which is famous for Pattaya Beach. Pattaya is famous for its nightlife and its bars. You can come with your family, friends and with your colleagues and can enjoy at Pattaya. There are a lot of attractions and interesting activities you can try and enjoy. Overall whatever you want to do you can do at Pattaya whether you want to go shopping, you want to enjoy in amusement parks, you want to enjoy dining or you want to see nightlife there. You can do anything and enjoy your holiday in a relaxing and cool way. In my opinion, for enjoying the location and exploring it in a better way, don’t just go to Pattaya, but book a Bangkok Pattaya Package so that you can enjoy Bangkok and Pattaya both. Ko Lan is the official name of the coral island, it covers a far larger area under the sea, there are massive reefs made up of limestone. If you are looking for something to do Pattaya you can visit Ko Lan aka coral island. The atmosphere of the coral island is quite different than in the city Pattaya which makes it an ideal place to look at. You can also enjoy water-related activities at the coral island. 2. The Sanctuary of Truth. 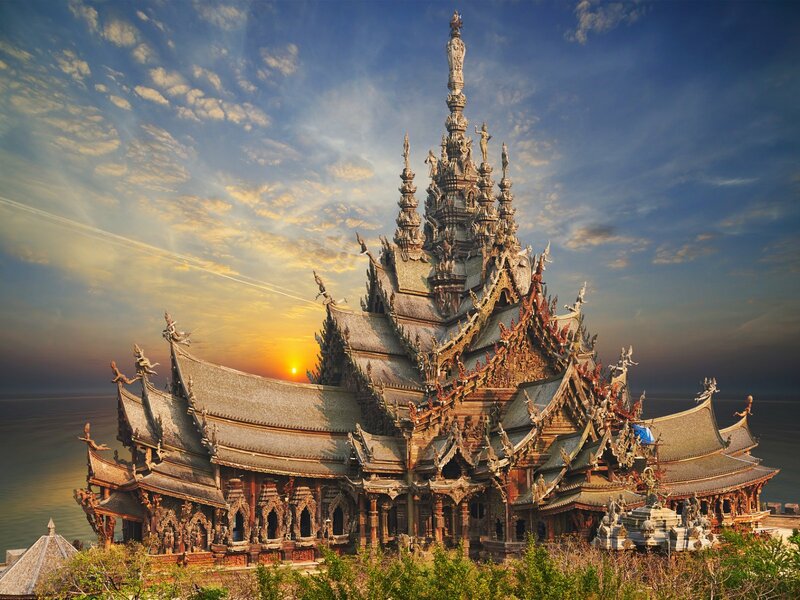 Another amazing place in Pattaya, Thailand is ‘The sanctuary of truth’ It’s not like that it is only an amazing temple but also an amazing palace or we can say it a hybrid. But it will always remain number one place to visit in Pattaya. The Sanctuary of truth is completely made up of woods. Sculptures at the temple are based on Buddhists and Hindu symbols. The sanctuary of truth acts as a place which is very quiet and not bound to a single religion and there is a hall which is 344 ft. high. Walking street in South Pattaya is the pride of Pattaya, day walking is just like any other city but as we come near 6 pm. It becomes the most exciting place to have a look. 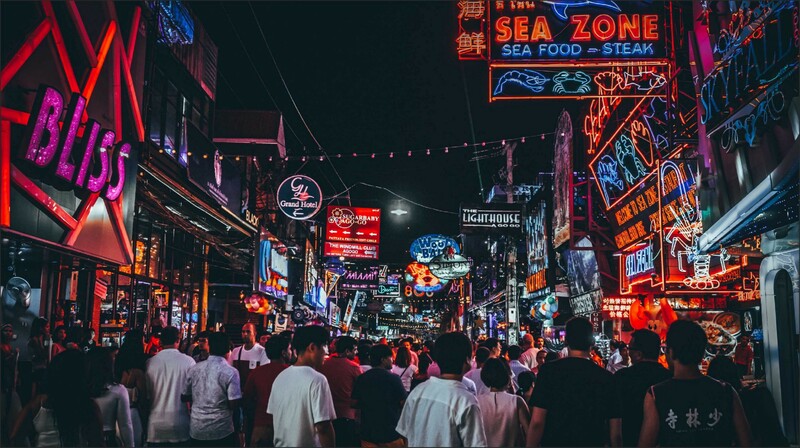 Walking street can be considered as the most famous street in Pattaya. Enjoying with people at the streets of Pattaya, all its bars, restaurants, clubs, and pubs make this place looks like heaven. You can start enjoying your evening with a great meal, then you can have your dring and enjoy having a look at people playing sports, and all the music everywhere. Have you ever thought that a market can also float? Yeah! That’s possible at Pattaya. 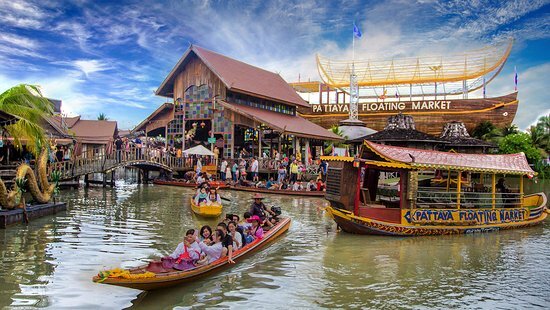 There is a Floating market in Pattaya where you can find all the selling items. A Cultural Show is also happening there every afternoon. There are about 114 shops on which people sell amazing Thai food, deserts, and all the specialty of the kingdom. To experience the floating market tour you can hire a man-powered boat which will help you in enjoying the Floating Market at Pattaya. When you are with your family you think what can we do. So, Mini Siam and Mini Europe will be a perfect destination for you. The miniature park in Mini Siam is the attraction for this place, there are different models on which you can have a look. You can click photographs at some photogenic places of Mini Siam and Mini Europe. At the Europe part, you will notice some of the building like Eiffel Tower, Tower Bridge, and Leaning Tower of Pisa and these are accompanied by some of the international landmarks.